Actress Salma Hayek at the Chime For Change photocall at the Corinthia Hotel in London. Fashion designer Stella McCartney, right, receives her Officer of the British Empire (OBE) medal from Britain's Queen Elizabeth II during an Investiture ceremony at Buckingham Palace in central London. 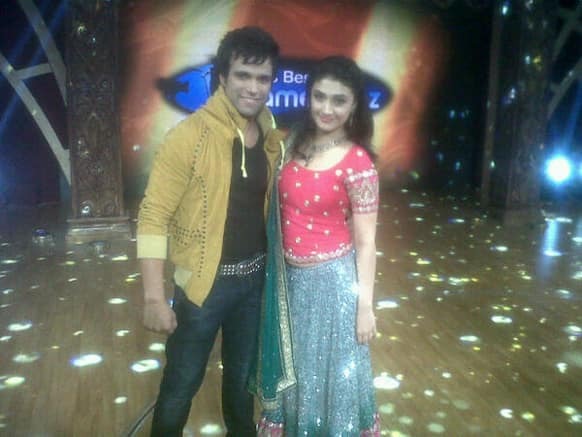 Ragini Khanna and Rithvik Dhanjani on the sets of Zee TV's 'India's Best Dramebaaz'. Hair assistant Caryn Bloom adjusts the hair of the new wax figure of Emma Watson, dressed exclusively for the attraction by Elie Saab, at Madame Tussauds in central London. 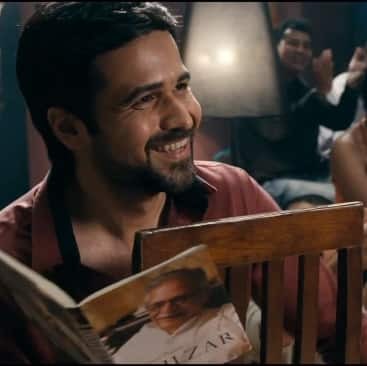 The official Twitter handle of 'Ek Thi Daayan' posted this pic of Emraan Hashmi. Emraan Hashmi and Huma Qureshi in a still from 'Ek Thi Daayan'. Brand new poster of Saif Ali Khan's 'Go Goa Gone'. 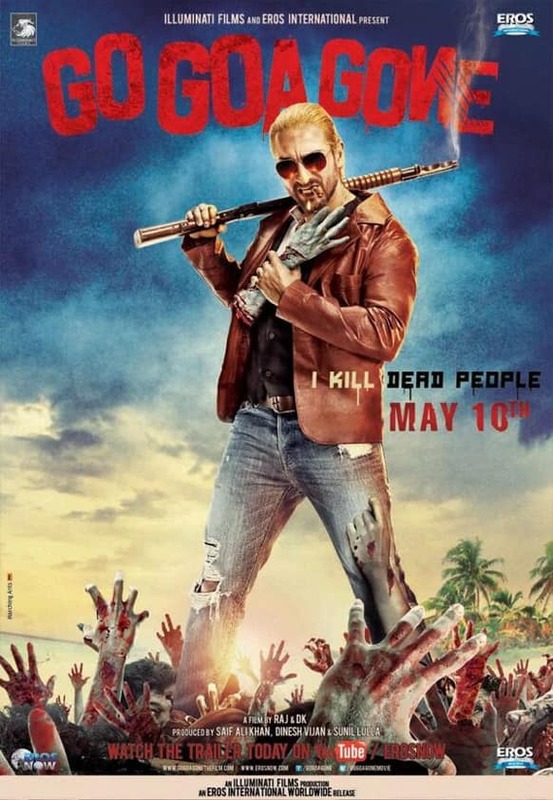 'Zombie Hunter' Saif Ali Khan in a still from 'Go Goa Gone'. 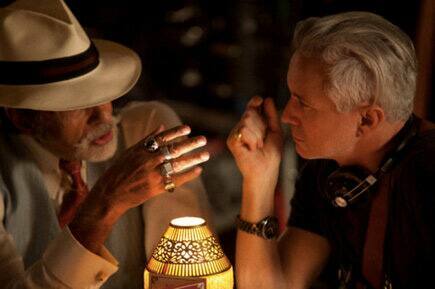 Amitabh Bachchan posted this pic on Twitter and wrote, "The Great Gatsby ... Baz Luhrmann directs ..premier 1st May and 15th May opening at Cannes. (sic)." 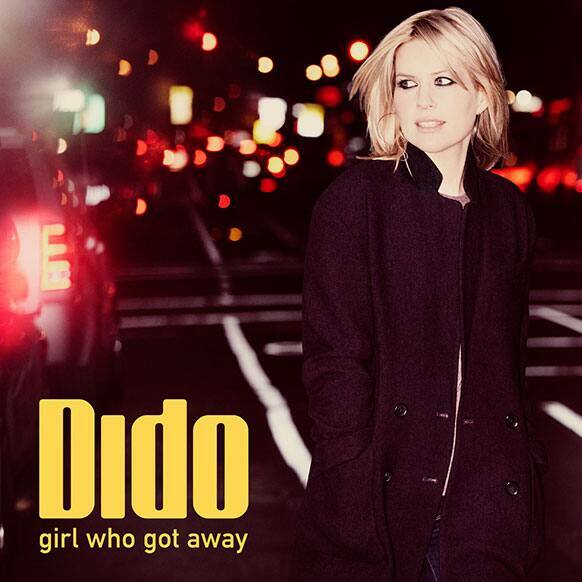 This CD cover image released by RCA shows "Girl Who Got Away," by Dido. Bollywood actress Aditi Rao Hydari displays a creation by Payal Singha during the Lakme Fashion Week. 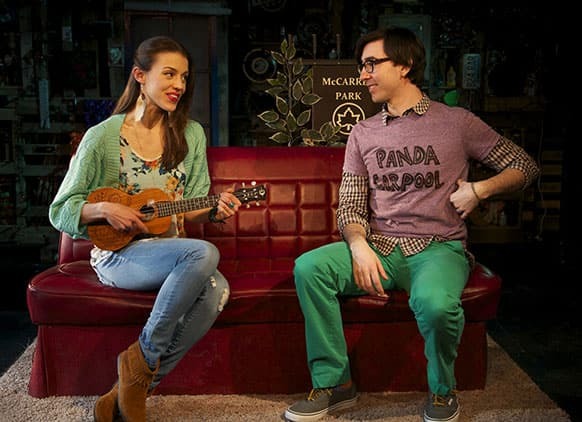 Katherine Cozumel, left, and Max Crumm during a performance of "F#%king Up Everything," in New York. 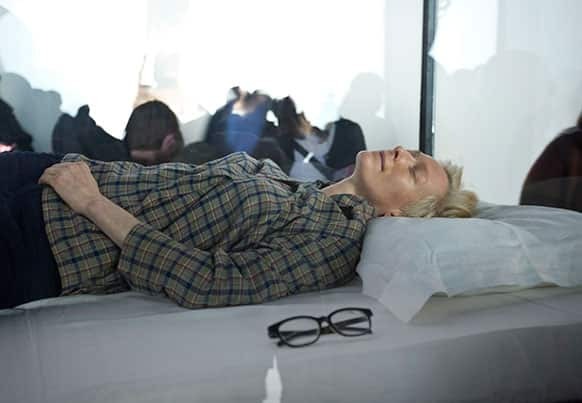 Actress Tilda Swinton performs the art of sleeping in her one-person piece called "The Maybe," in New York's Museum of Modern Art.